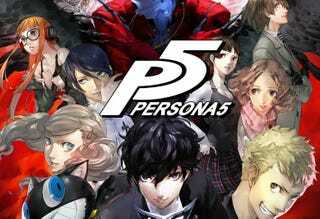 It’s been well documented that some new Persona 5 footage was shown at E3, but of personal interest to me was the first listen to the full version of Persona 5's battle theme. As theorized by many when Pv2 dropped in June of last year, that track is indeed Persona 5's new battle theme. You can hear the instrumental below at 5:55. That, ladies and gentlemen, is the new hotness in a series known for having probably the most catchy normal battle music of all time in P3's Mass Destruction. Thank you Shojo Meguro, I shall be importing the OST on day one. Remember, you can also preorder the Persona 5's collectors edition now on Amazon.